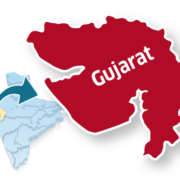 There are currently two Friends Network teams working in Gujarat. Although they are in different locations their heart and desire to see a contextualised expression of the Kingdom of God is the same. Their ultimate goal is to see vibrant, culturally relevant and locally led movements of house churches established among Hindu peoples. One group is just beginning to pioneer in a small city among several different unreached Hindu communities while the other is focussed on working among a specific unreached tribal community. We believe short-term outreach teams can play an important role in partnering with long-term workers in bringing transformation to an area. We are committed to hosting teams who want to invest 2-3 weeks in prayer, worship and intercession to lay the foundation for spiritual breakthrough. The tours involve times of prayer and worship, prayer walking, visiting different Hindu pilgrimage locations and lots of chance to interact with the culture of Gujarat. We have also had groups give lectures in a local MBA college and lead English sessions in a local school. To be involved with the prayer tour ministry with a focus on facilitating worship and intercession. To join one of the existing Church Planting teams working among Hindus – either city people or tribals. Come to grow in and use your evangelism and discipleship skills. 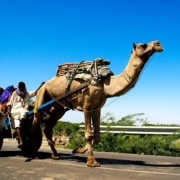 To be involved in community development with the team working among the tribal community and pioneer projects in health-care, income generation, education or literacy. To work alongside an existing team while being coached and trained with the skills needed to pioneer a new ministry built around teaching English to the growing middle classes. To come as a learner and be a part of the Gujarati Language and Culture Internship. Learn to speak the language so you can communicate the language effectively – all while being involved in ministry to Hindus and working alongside these existing teams.